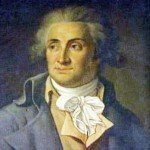 Marquis de Condorcet (1743-1794) was a philosopher, mathematician and moderate Jacobin politician. Born in Picardy, Condorcet was raised by his mother. A brilliant mathematics student, he was recruited by the government in the 1770s and given important roles by the finance minister, Turgot. He also demonstrated a strong interest in politics, attending salons and cercles and mixing with notable figures like Voltaire. 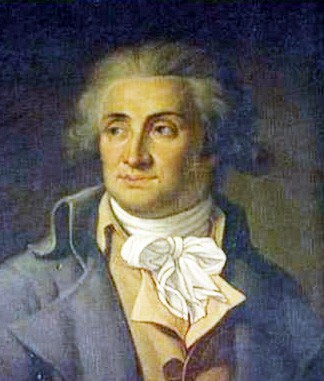 Condorcet served as a deputy to both the National Assembly and the National Convention, where he contributed actively to the drafting of new legislation, including the Declaration of the Rights of Man and Citizen and the Constitution of 1793. Condorcet was a republican, albeit a moderate one. He voted against the execution of Louis XVI in 1793. Initially a Jacobin, from late 1792 his position was aligned more with the Girdonins. By late 1793 Condorcet was a wanted man. He was arrested in March 1794 but immediately committed suicide by poison, rather than facing the ignominy of the guillotine.